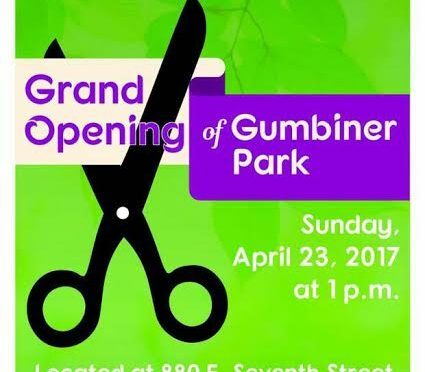 Sunday at Museum Triangle – Gumbiner Park Opens! Yes – we celebrate a new park, public space and with programming. Plus it is very cool and right across from MoLAA and PIEM. One of the outcomes of our annual BIG heART Show and Fundraiser was the two hour workshop at local Power4Youth mentoring center. On hand was Frau Fiber, a widely recognized fiber arts expert and founder of the Sewing Rebellion. Teens and their mentors got to work side by side with Frau making vintage bicycle caps and wallets. There is a lot to making things. Our participants got to discuss where they spend money on items, who makes those items in contrast with what it took for them to complete a single item. It was really well received. 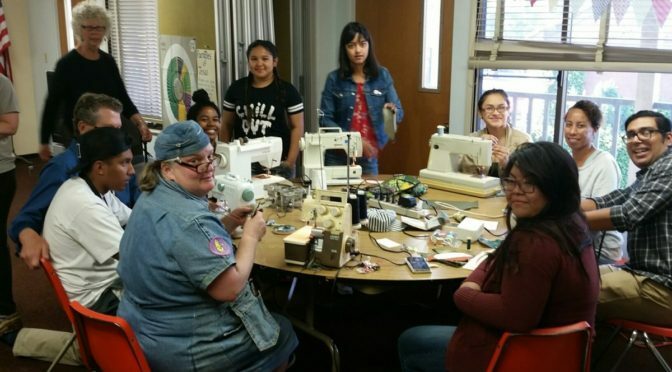 Thanks to Power4Youth: Val, Samana and Jessica and of course, Frau Fiber who holds sewing rebellion actions weekly in downtown LB. Check out her website. And to Scotty Benner, RP resident, nurse and artist who mentored participants on the machines, design and construction.